I have mentioned before that I am by no means a light packer, I love my lotions and potions and on holiday I actually get worse! 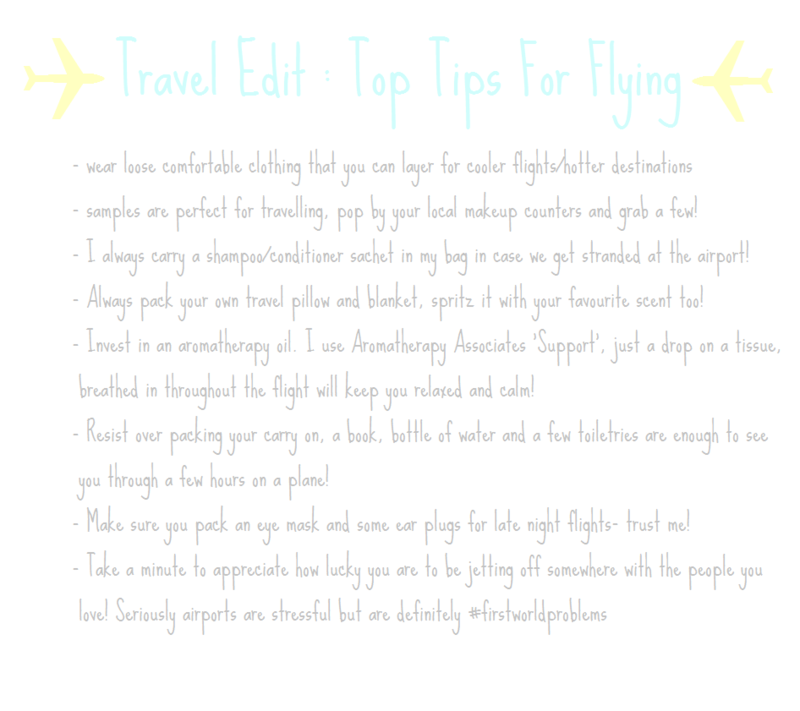 I start as I mean to go on with some pampering products for the plane so I thought I would share them with you in the form of a ‘guide’, obviously this is just what I take when travelling but hopefully this will be useful for you too! Seriously one of the worst things about flying is being stuck in a flying tin box inevitably near someone who has a stinking cold. Now there is nothing you can do about that but you can keep your little plane space sanitized by wiping down your table with an antibacterial wipe and using hand gel regularly. 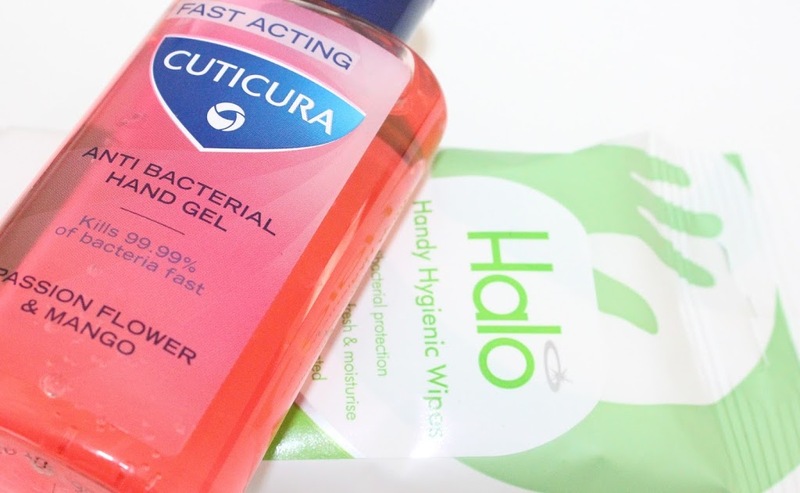 I use Halo Hand Wipes and the Cuticura Hand Gel which smells heavenly. I am a bit of a nervous flyer so to keep my mind busy I like to do a little pamper routine once I am settled in my seat. I try to always get extra leg room seats too, it just makes the experience much more bearable (easyjet only charge around £10 for them too!) 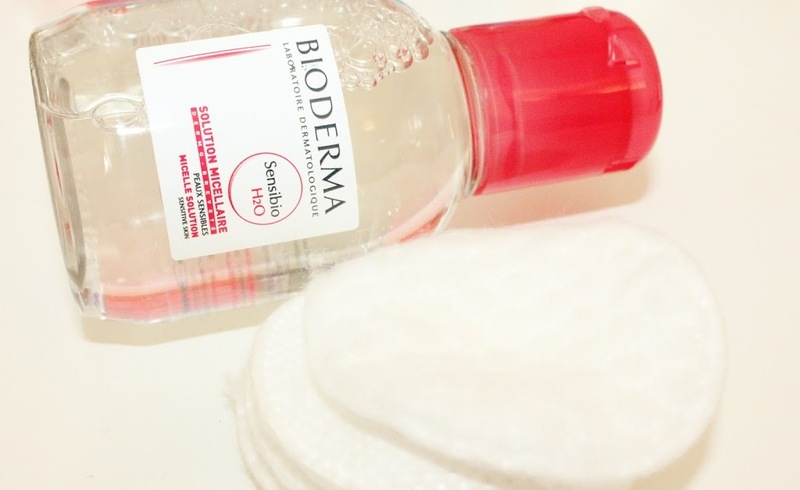 I use Bioderma to remove my makeup. it is my favourite micellar water and it comes in an airport friendly 100ml size. Once removed I like to pop on a moisturising face mask. I am no skincare guru but my personal experience of flying is that my skin gets very dehydrated. 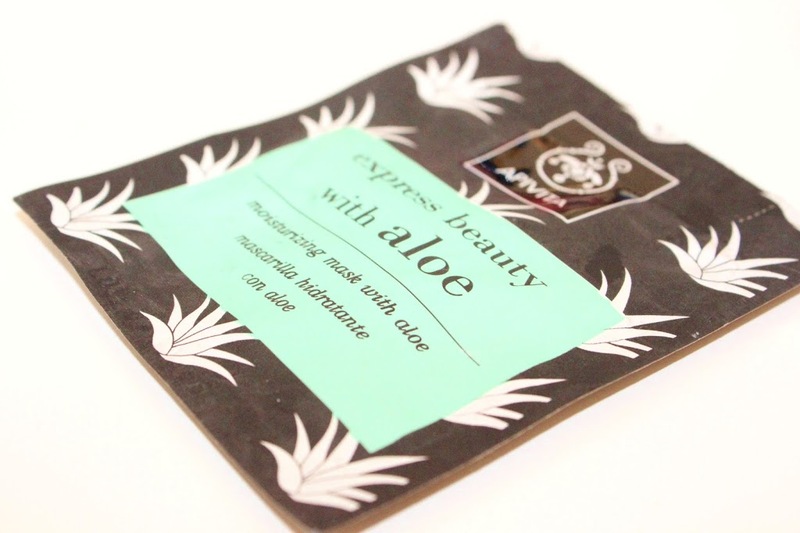 I like the Apivita Aloe Mask which just looks like a face cream so not too scary for other passengers! 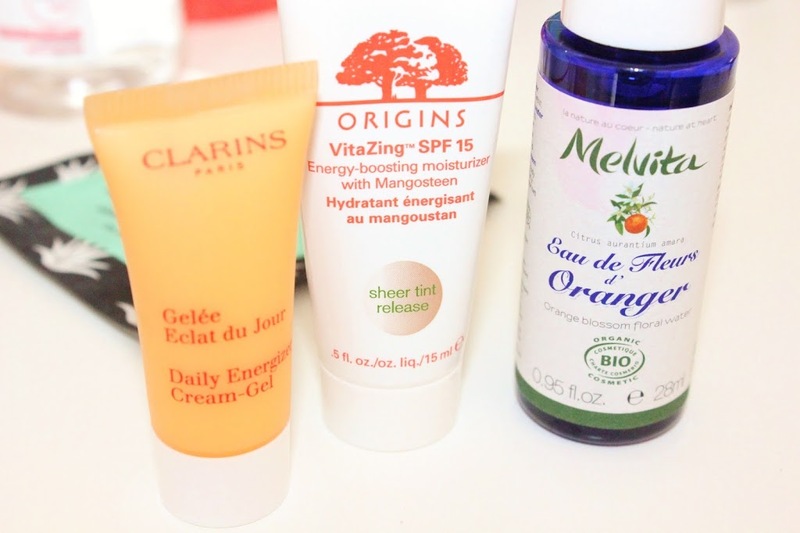 I follow the mask with an energizing moisturiser, I like the Clarins daily energizer. 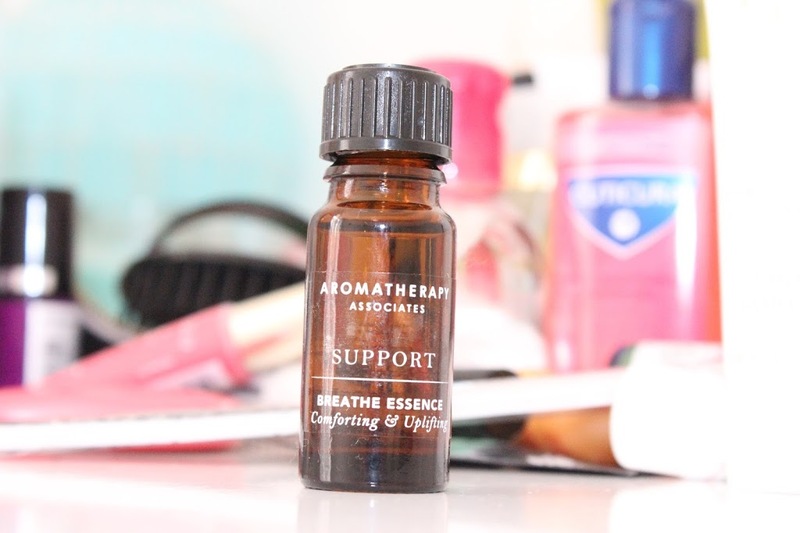 I like to really massage this in and follow it with a spritz of a facial toner, I use the Melvita Orange Blossom one when travelling. 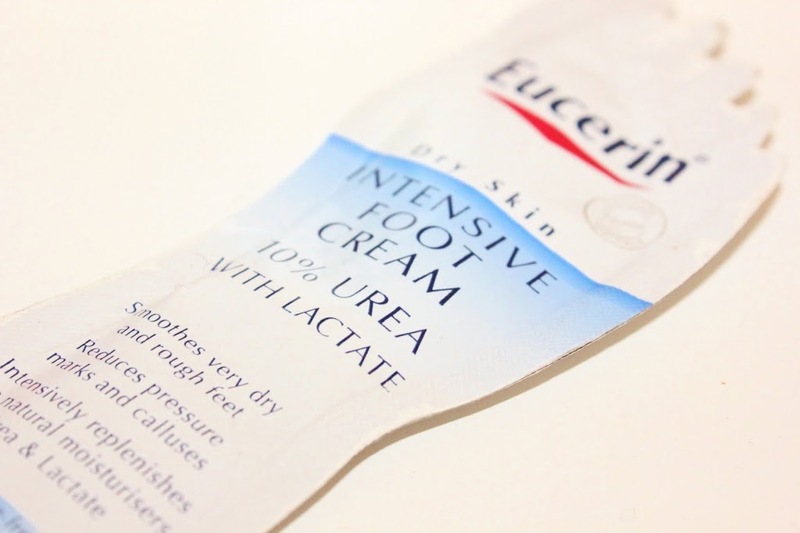 It just really helps to lock all the moisture into my skin and acts as a nice base for any makeup you apply on top. When I am within the last hour of the flight I like to massage some foot cream into my feet and just let it sink in, as I usually wear flip flops for travelling this isn’t too hard mid flight, I then pop on some socks to lock in the moisture. 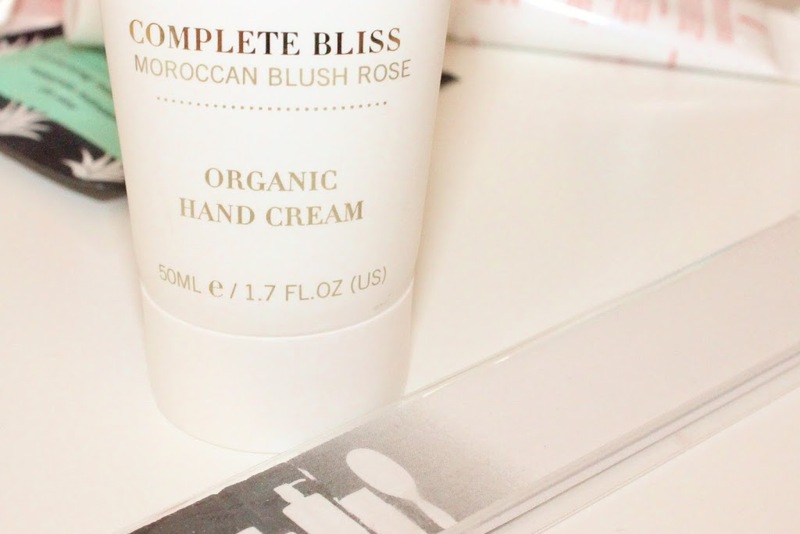 It’s usually at this point I will give myself a mini hand massage too, I am using the NEOM complete bliss hand cream at the moment which is beautiful! I wouldn’t arrive in a foreign land with a totally naked face, I think it would scare customs too much! I don’t apply tons of makeup though, just enough to look presentable. I start with a tinted moisturiser (I love the Origins Vita-Zing one!) it provides just enough colour to get rid of any redness without feeling like I am caked in makeup. I follow up with a cream blush, I am still loving the Stila Convertible Lip and Cheek colour in ‘Petunia’. It is a bright but creamy pink which just wakes your whole face up and makes you look much more made up then you are! I also add a little to my lips before slicking on some Lanolips (I like the tinted ones.) 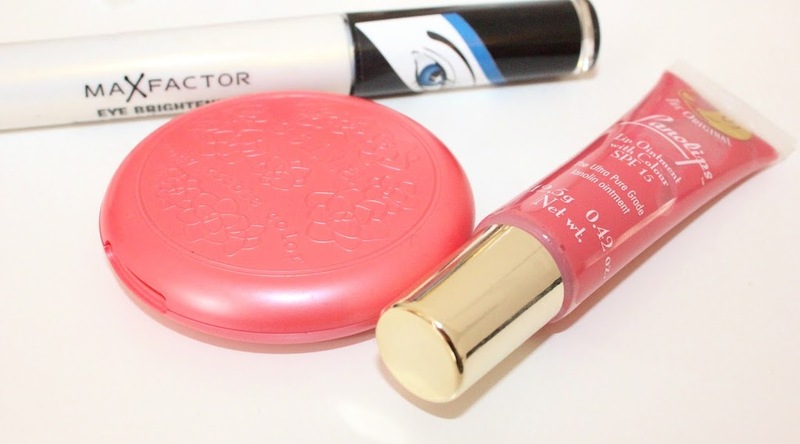 Eye-wise, I will just apply some brightening mascara, my absolute favourite is the Max Factor brightening tonal mascara. I tie my hair up just as we are landing and have a last minute face check to make sure my make up looks fine. 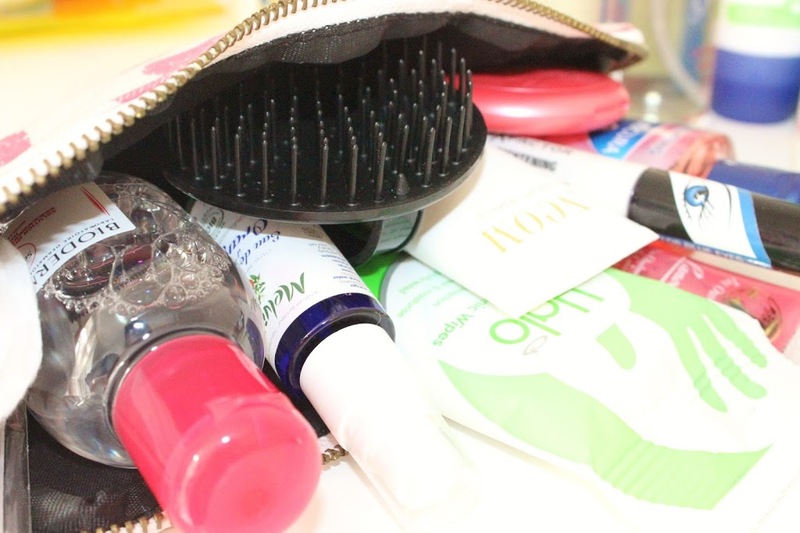 I like to use a mouth spray to keep nice and fresh and then make sure everything is packed away and ready to go. This is especially important if your travelling with my Dad (not that you would be!) because he is that person who feels the need to run off the plane and be first in every queue all the way through to check in at the hotel! "Maybelline Super Stay 14hr: Stay With Me Coral"